While the world hopes for peace, Rotary International - a humanitarian service organization dedicated to world peace and understanding – works to make it a reality by training the next generation of peace leaders. The Rotary Clubs of District 7210 (Hudson Valley) are recruiting for the Rotary Peace Fellowship, a program that gives up to 100 fellows the opportunity to obtain professional development certificates or master’s degrees in Peace and Conflict Resolution at no cost to the recipient. Launched in 2002, Rotary’s Peace Fellowship program provides academic and practical training to prepare scholars for leadership roles in solving conflicts around the world. Up to 100 fellows are selected every year in a globally competitive process based on personal, academic, and professional achievements. Fellows embark on one to two years of study to earn a master’s-level degree or a professional development certificate in peace and conflict studies at one of six Rotary Peace Centers at leading universities in Sweden, Australia, England, Japan, the United States and Thailand. Rotary is an organization of business and professional leaders united worldwide who provide humanitarian service and help to build goodwill and peace in the world. There are approximately 1.2 million Rotarians who are members of more than 31,000 Rotary clubs in over 165 countries. For more information, visit www.rotary.org. In this story, I hope to answer some of the deep, dark and mysterious things about Rotary that perhaps you were afraid to ask or maybe just didn't know who to ask! Click this link to get some in-depth information about Rotary. But I will also give you some real Rotarian insights! Every year, 1.1 million people around the world work hard to improve their communities through Rotary. Rotary is people. Plain and simple. People who want to get together and do something for their community. Rotarians are people of actions who want to become part of a larger group to make a bigger splash in a big pond. Rotary is broken down into clubs. Each club is a local organization that is made up of local people who want to do good in their community! In the age of making money and the soft sell, let me confirm to you what it is NOT! It is not a pyramid scheme or way to make money. We are not going to ask you to sign up a friend, so they can sign up a friend. We don't sell makeup, groceries or anything else. We perform service. It is an organization that wants to give back to the community. To join, you must be committed to helping your neighbors, friends, and community and make that fabric stronger, tighter and more connected through service tasks, fundraisers and community outreach. Our particular club meets on Tuesdays for breakfast at 7:30 am. If you asked any of our 30 something members what Rotary is, you might get 30 answers. We would, however, all agree on one thing - it is a place where we start off our day laughing, hooting and hollering about something - sometimes meaningless and trivial and other times serious. I've been in this Rotary for a few years now and I was hooked from day one. Mostly because I left the meeting laughing and giggling. People have often told me - "that's insane, 7:30? I can't do that". But in the few years I have been a member, almost everyone who has expressed an interest leaves laughing and comes back to join. Of course, each club determines when and where they meet. Some for dinner, others for lunch. Find a club that meets in the time frame you need! Where are these "so called" clubs? Ok, let's not get the wrong idea. There are no secret passwords. No funny hats. You do get some very fine pins though. There are tens of thousands of clubs worldwide. In the US, there over 7500 clubs! You can always find one at Rotary.org, but as you drive around - look for signs with the Rotary wheel on it! They will usually tell you where and when the club meets. Our little club meets at the Patterson Rec Center with a great breakfast! Do I have to sell cookies or raffles? Do I have to tell you the name of all my friends? What are you going to ask me to do? The short answer is - you do have to be engaged in what your club wants to achieve. You give what you can. For me, sometimes I make a joke or I laugh. I don't claim to have any special talents so I volunteer to keep our events clean by taking out the garbage. It might not be glamorous for sure - but you would notice if you came to an event and it was strewn with junk! Ok..I digress. What do you have to do? We don't want any of your friends and families names. The fact is, some clubs may sell cookies or raffles. Others have events like dinners, music events with food or something to raise money so that we can give it back to the local non-profits that need it. You will be asked to help at those events - wherever your talent lies! Of course, if you want to take on a club function you can! If you join our club, you may even become president by just looking presidential - so watch out! Whatever club you join - your role is governed by what YOU want to do - but you will have to do something. In reality, when you see the reward of giving away money or personal assistance to those that need it most - you will want to do more! And because it is local, you really feel connected to what is happening. If I haven't convinced you to go to your local club or you have any unanswered questions - contact us! We are always looking for new members. Send an email to pattersonrotaryny@gmail.com or just show up Tuesday morning if you are in Patterson, NY or at ANY rotary club. You will be welcomed and ready to start on something big! Thanks for reading! Bob D..
Why join Rotary? What good can I do? What does Patterson Rotary do with the money they raise? There are a lot of reasons why you shouldn’t show up at our 7:30AM meetings on Tuesdays. You could sleep in after all! Perhaps you are just to busy. But when you give that hour a week you become part of a infectious group that strives to be People of Action. If that sounds like something of interest - take a look at what we did for our community during our Fall Giveaway. We are proud to provide support to these many great causes and the people they help. Just as important to us is to keep our community involved. Come join us for breakfast on Tuesday’s! 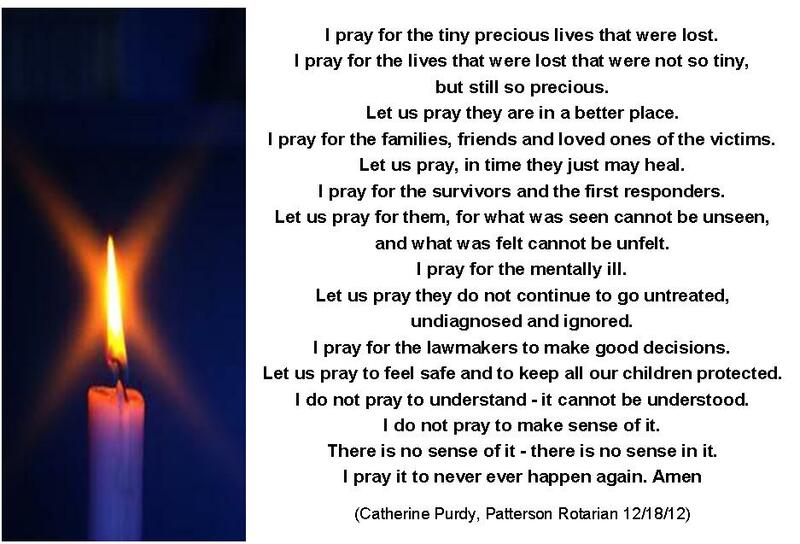 If you can’t - contact us at pattersonrotaryny@gmail.com to see what you can do to help. It takes a lot of effort to organize, staff and make our great events happen to raise money for these very worthy causes. We are an all volunteer organization that wants to do good things and are always looking for new members to help! Congratulations to all recipients of our Fall Giveaway. We thank you for all that you do for our community. 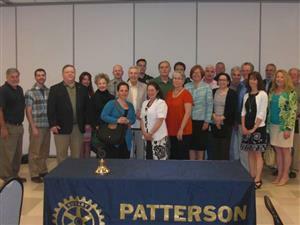 The Rotary Club of Patterson takes their motto, “Do Good and Have Fun”, very seriously. Just a few days after donating thousands of dollars to the Brewster Emergency Shelter Partnership (BESP) and the Putnam County SPCA (to help with the purchase of a much-needed police vehicle), they hosted another successful Blues & BBQ Festival on September 15th & 16th. And now they’re gearing up for the much anticipated Touch A Truck for Heroes on Saturday October 6th from 10:00am - 4:00pm at Thunder Ridge Ski Area in Patterson. 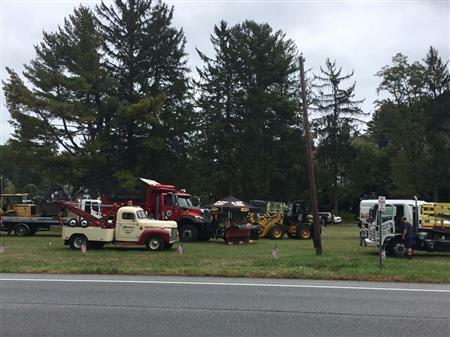 This year’s Touch A Truck is expected to be the club’s biggest, with more trucks and big rigs for kids (and kids-at-heart) to climb on - and more horns to honk! Local veteran support organizations will have informational display booths, and there will be a flag decommissioning ceremony for worn flags. The public is invited to take part by bringing worn flags. Patterson Rotary began Touch A Truck in 2015 to raise money to purchase a shed for the local Putnam County Veterans’ home. It is now an annual event producing big smiles and a day of fun for the whole family. All proceeds support local Veteran projects. Entrance is FREE. Donations are welcome and there will raffles and a 50/50 draw. At the end of October Patterson Rotary will load up a dump truck full of pumpkins and a carload of pumpkin donuts and apple cider for their Annual Fall Pumpkin Festival for children at The Fairmont School and Samara Community School in The Bronx. 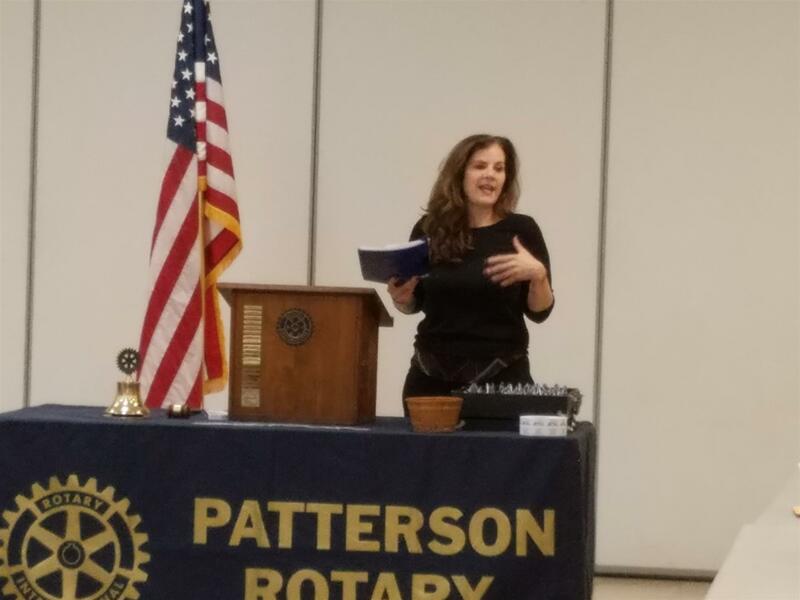 The event began as an idea that club member and Putnam residents, Jason Maxwell and his wife Hilda Delgado, brought to the Rotary Club of Patterson. Delgado teaches Pre-K at The Fairmont School. They felt that the children attending those particular schools were missing out on the childhood experience of pumpkin picking. The majority of children attending these schools live below the poverty line and would otherwise never have this experience. 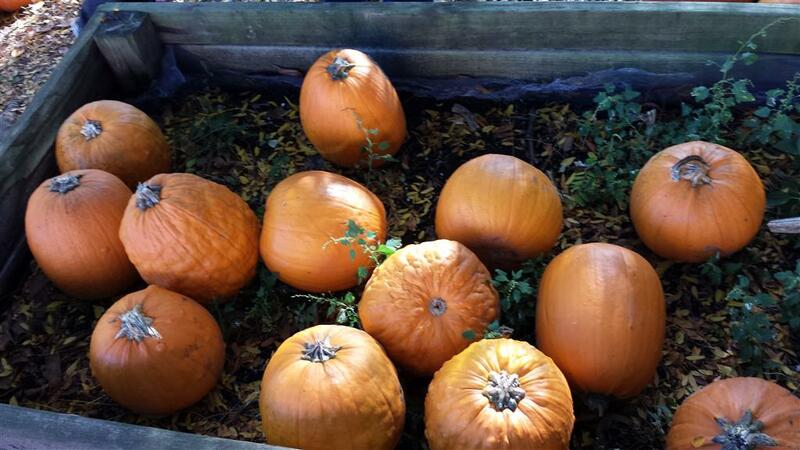 Many had never even seen a pumpkin outside of pictures and media. 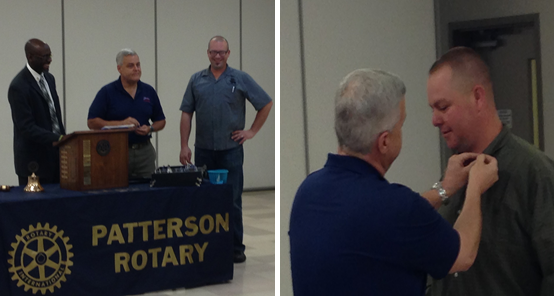 Two days later Patterson Rotary Club will be at it again, this time for their Fall Giveaway on October 30th. The semi-annual event (formerly the February Giveaway) is one of the main reasons for all the fundraisers, festivals, and events that the club hosts. Twice a year, in spring and (now) fall, Patterson Rotary gives away thousands of dollars to local Putnam County charities and non-profit organizations. Past recipients include CoveCare Center, Putnam County SPCA, Women’s Resource Center, Help Our Military Heroes, NY Riders, local scholarships for high school students and summer camps, and many more. To end the fall season, members of Patterson Rotary will come together again in November, to do good and have fun. 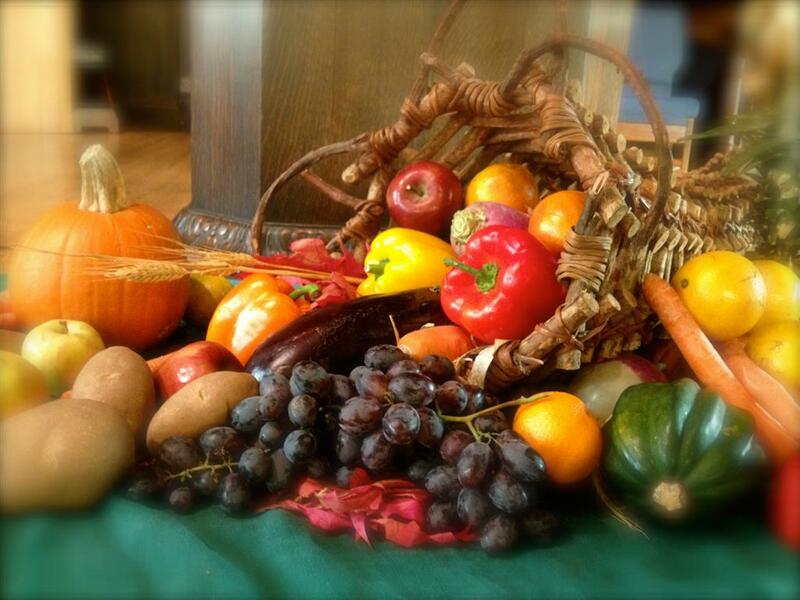 This time the club will pack up about 35 dinner baskets filled with all the fixings for complete Thanksgiving meals, including home-baked desserts and gift cards for turkeys. Baskets will be distributed through Putnam CAP (Community Action Partnership). 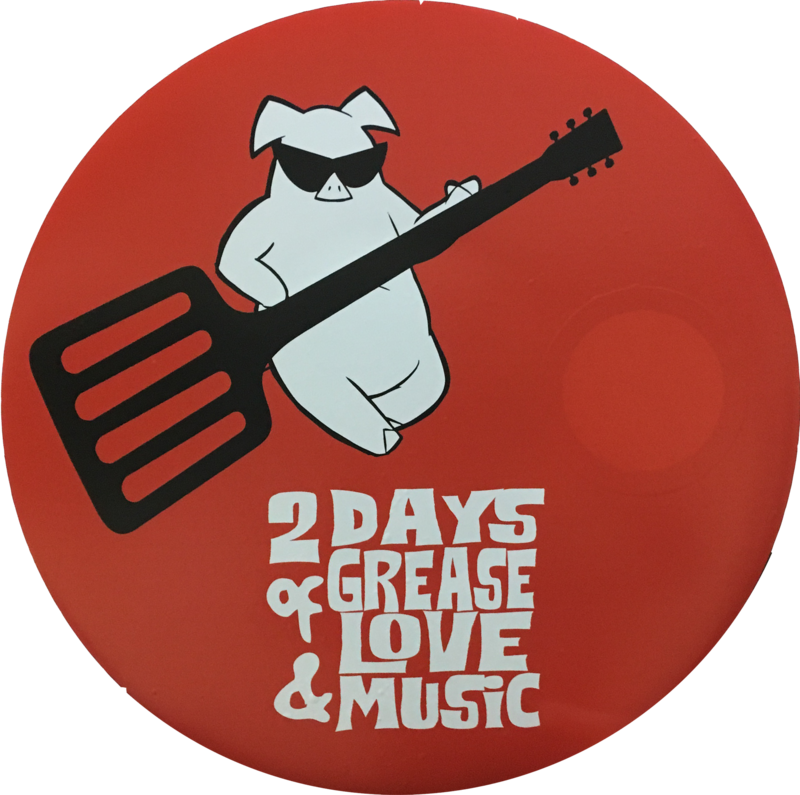 Are you getting ready for two days of fun, music, love and of course - great food. Save the weekend of September 15th and 16th. Click For Details. It’s with heavy hearts that we announce the passing of our long time Rotarian and friend, Geoffrey Reinwald. Whether you remember him as the whistleblower at Men Who Cook, the guy manning the bratwurst grill at Blues and BBQ, or the king of the parking lot at Touch A Truck and the Putnam County 4-H Fair, he always had a smile and a ‘Geoffrey’ joke. He was always ready to help, whether it was ‘painting’ rooms (somehow painting everything except what needed to be painted) and pulling weeds (aka poison ivy). He was a Rotarian at heart and was a living example of ‘Service Above Self’. Geoffrey was a special and unique personality that had a lot to do with shaping the personality of what our club and our local community has become. From sponsoring many, many members over the years to making our early morning meetings fun, he will truly be missed by his Rotary family and all that knew him. Until we meet again Geoff. Keep those jokes ready for us. 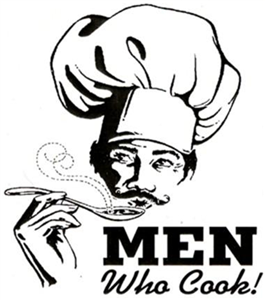 The 23nd Annual Men Who Cook is coming! At this past Tuesday's meeting we heard from Paula Miratello and her organization, My Brother Vinny. She started the organization as a way to honor her brother after his passing by assisting those with mental health issues find housing and support programs. Over the last few years the main focus of her work has turned to working with the local VA's and shelters to assist homeless veterans get into new homes. Paula told us how most veterans qualify for housing assistance through the VA, but there is no program to assist them with furnishing their new apartments. My Brother Vinny provides them with everything from furniture, to housewares and even art work for the walls, so the empty apartment becomes a home. She and her volunteers, mainly veterans who she has helped that want to get involved, have helped over 435 veterans and their families in 9 counties in the Hudson Valley/Metro NY area. 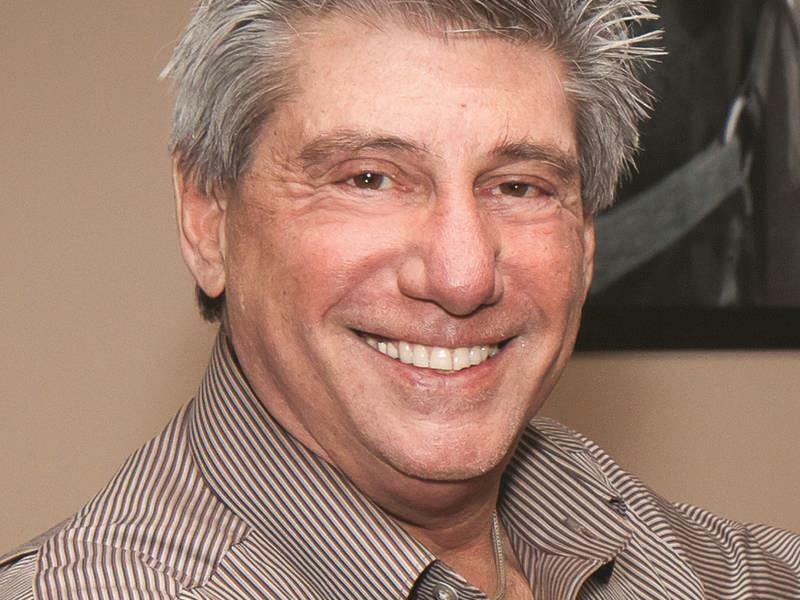 For more information on My Brother Vinny or to find out how you can help, check out their website: http://www.mybrothervinny.org. The 21st Annual Men Who Cook is Coming! Now accepting applications for our 2017 Scholarships! 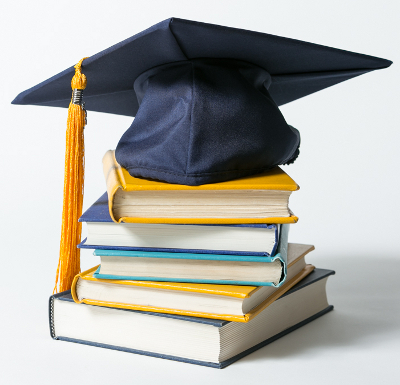 We are now accepting applications for our 2017 Scholarships for high school seniors! Click the link on the left for more info and an application. This morning was the meeting most of our members look forward too all year. We packed 35 boxes full with everything a family would need for a Thanksgiving dinner. We include gift cards so they can buy a turkey, boxes of stuffing, rolls, canned vegetables, cranberry sauce, potatoes, pies, cookies, and so much more. We were able to pack 9 boxes for families in need at Matthew Patterson Elementary school and 26 to Putnam Community Action Program. 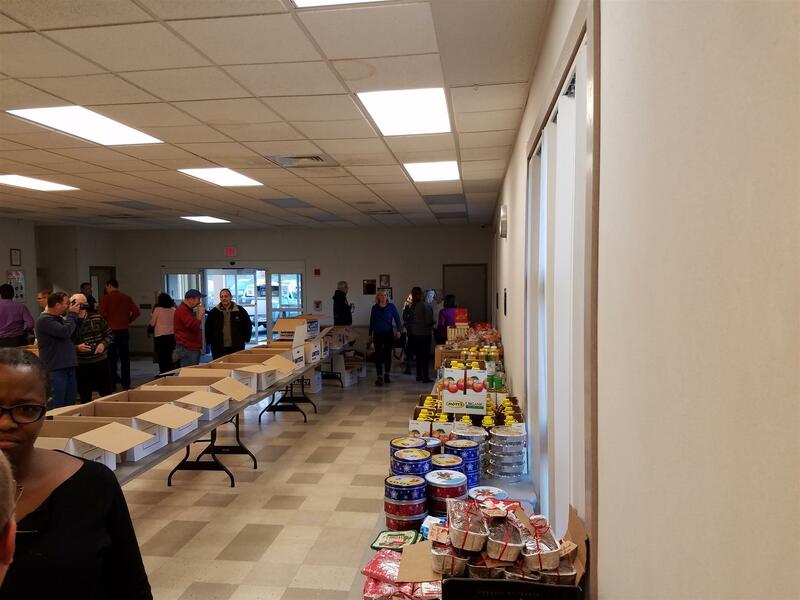 ALso, this past weekend, we participated in Putnam CAP's THanksgiving Weekend county wide food drive. Members from our club and our Interact club volunteered at Putnam Lake Market in Patterson and Kobackers in Brewster. We were pleased to find out when we dropped off the boxes this morning to Putnam CAP, that the food drive had gone so well, they were able to add fresh carrots and celery to our boxes as well! So thank you for supporting us, whether it's coming to a fundraiser or donating at the food drive this weekend. We are proud to work with our community to help those in need. Our Interact Club is now official! 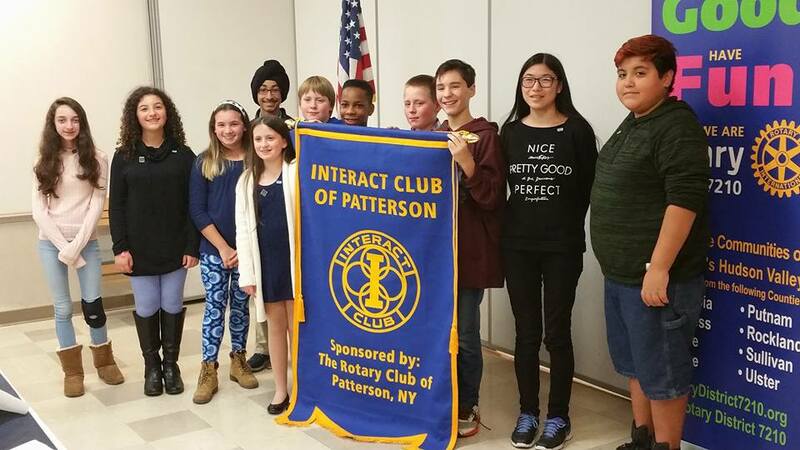 The Patterson Rotary Club celebrated the chartering of their new Patterson Interact Club. Interact is a branch of Rotary that teens from the ages of 12-18 can join. They do service projects in their community and around the world and learn how to live our motto, Service Above Self. We are so proud of these kids. We currently have students from 4 different schools, Brewster, Carmel, Pawling and The Wooster School in Danbury, CT. In just a few sort weeks, these kids and learned about each other and how to be a team. We asked them to bring one service project idea to a meeting and these amazing kids came up with over 20! We have also be lucky enough to have a couple of kids who aren't quite old enough to join Interact, but want to do good, so we are also in the process of starting an EarlyAct club. If you have a child that wants to get involved, send our advisers an email at pattersoninteract@gmail.com. 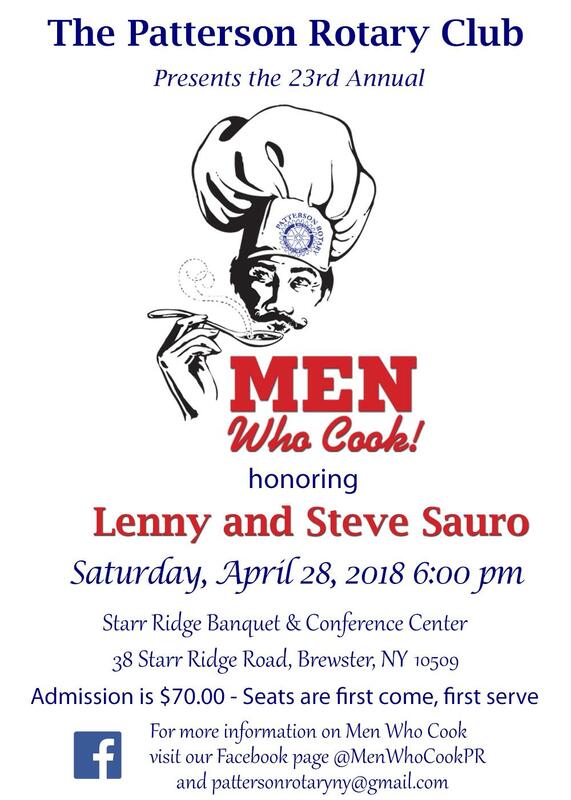 20th annual Men Who Cook was a great success! Our 20th annual Men Who Cook was a great success! We have a few thank you's to mention. To all the chefs and restaurants for the delicious food! To the sponsors for helping us make it the best event ever. To the Carmel FBLA kids, for all of their help throughout the night. To everyone who came and made it a great night! We all had a blast and hope that you did too. Mark your calendars for next year, April 29, 2017! Check out pictures from the night by clicking on the photo album on the right. Episode 5 of About Rotary is coming to a TV near you! Did you know we have our own TV show? If you are local to the Patterson area and are a Comcast subscriber, you can check us out on Channel 8. About Rotary is a show that we produce once a month and it tells about what Rotary is doing in our area and around the world. If you don't use Comcast, or are unable to catch us on cable, you can check out our YouTube Channel (click the red button on the left side of our home page). Here is last month's episode, with the founding members of STEP, or Schools to End Poverty. Ed and Howard are coming to our March 15th meeting to talk to us about the good they are doing around the world. If you would like to learn more, check out their website at http://schoolstoendpoverty.org/home/index or stop in for breakfast with us when they are visiting. 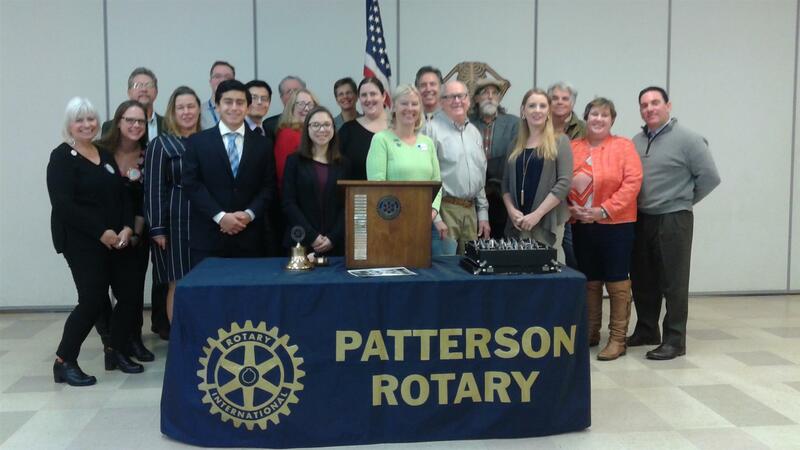 The Patterson Rotary Club is now accepting applications for our 2016 Scholarship awards. Click here to download the application packet. Applications are due by April 15, 2016. This morning we celebrated the good we do in the world with representatives from many of the local non-for-profits that we work with. After treating them to a delicious breakfast, President Bill Flash turned it over to President Elect Anthony Molé who presented the certificate and checks. In total, we gave out over $11,000! Click here to see pictures from today. It's almost time for one of our Semi Annual Giveaways! It's one of our favorite breakfast meetings, where we invite the local organizations we support to join us for breakfast and we present them with a check for them to continue their good work in our community. If you have ever attended one of our events like Men Who Cook or Blues and BBQ, the money we raise at those events all get distributed at our giveaways! The Rotary Club of Patterson N.Y. will host its Third Annual Blues and Barbecue Festival on Saturday, September 13, 2014 at the Patterson Firehouse! During the 2013-2014 Rotary year which runs from July 1 through June 30, President John Kelly was very pleased with the good the Rotary Club of Patterson did in the local and international community. Well over $30,000 of funding as well as many hours of volunteer services were given back to the community throughout the year. Over 40 organizations and numerous local individuals have benefitted from the hard work and fundraisers the members have taken part in throughout the year. For a list of some of the organizations who the Rotary Club has assisted this year, click on the link below to see more. On Friday, 5/30/14 Rotarians from around the world broke two world records. While at the Rotary International Convention held this year in Sydney, Australia, Rotarians broke two world records while on the Sydney Harbour Bridge. One record previously held by Oprah Winfrey audience members was broken when 340 Rotarians climbed the Sydney Harbour Bridge at one time. The Rotarians simultaneously broke another record by flying the most country flags from the bridge. 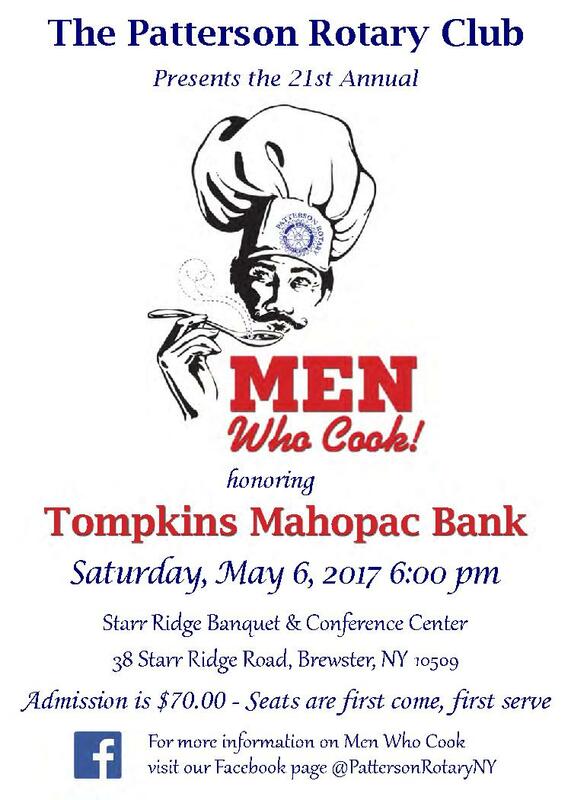 18th Annual "Men Who Cook" Fundraiser! A casual evening of food and festivities to benefit local Putnam County and Tri-County area non-profits, organizations and scholarship programs. What a beautiful day. Great food, friends and fun. & United Cerebral Palsy of Brewster for hosting the event. The Newtown Rotary Foundation announces the establishment of the Newtown Rotary Sandy Hook School Fund. Join us the 2nd through last Tuesday each month. Our weekly meetings are held at the Patterson Recreation Center at the end of Front Street in Patterson NY. Networking begins at 7:15 AM and the Bell rings promplly at 7:30 AM to start the meeting. Welcome to our two new members! Congratulations and welcome to our two newest members! Jim Byron installing Jason Maxwell with a Rotary pin on April 23rd.